Chris is very dedicated to our feathery friends and there are no less than three bird feeders strategically positioned around the house to provide needed supplement feeding during the winter months. We enjoy the varieties of birds and especially some of the transients that fly though our region in advance of the winter and then preceding the springtime. The bane of the feeders, however, are the squirrels! They are everywhere. 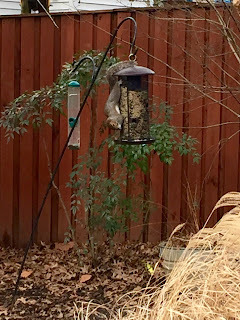 We have deployed squirrel resistant feeders--to no avail. 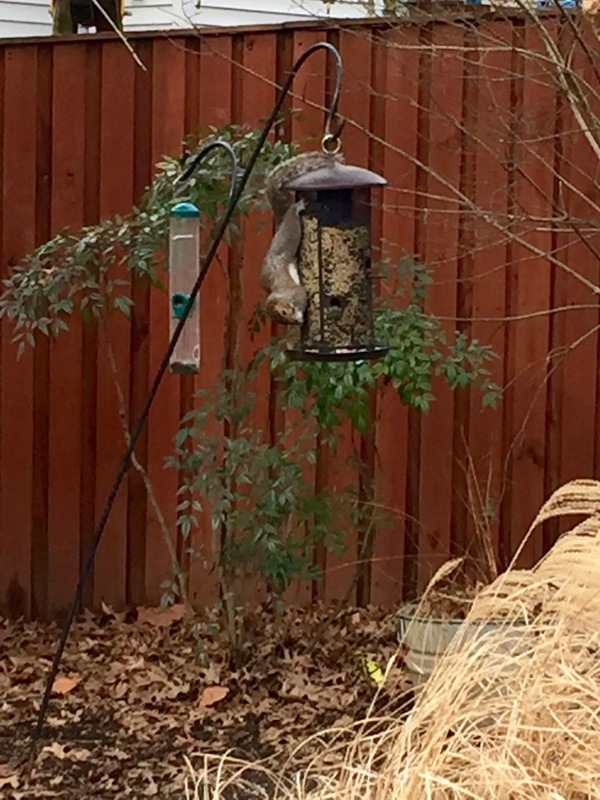 The birds are welcome, the squirrels--not so much. We still have a long winter ahead of us and the temperatures are beginning to fall more into the normal range. Maybe I can get some pictures of some birds, soon!